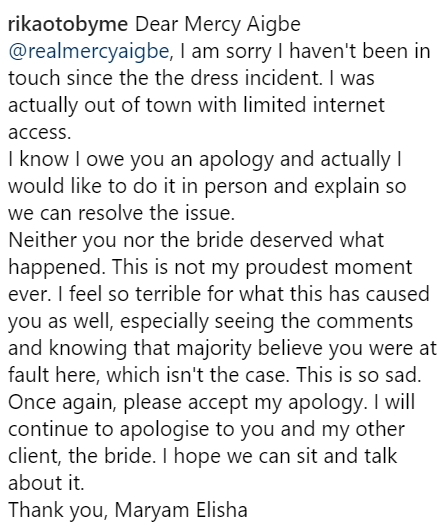 Maryam Elisha, the Lagos-based designer who sold her clients wedding dress to nollywood actress, Mercy Aigbe has finally came out to rendered an apology to the Benin Bride to be. 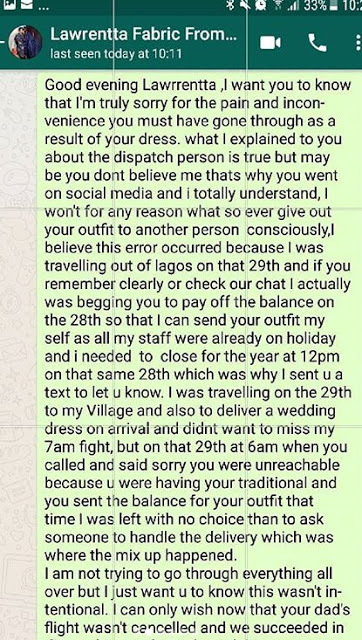 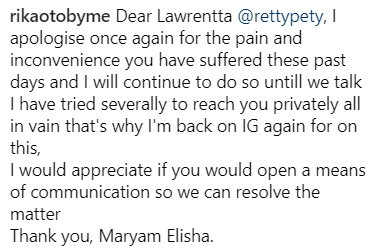 Maryam Elisha, the founder of Rikaoto By Me took to social media few days ago to write two different apology letters to Mercy Aigbe and the bride she disappointed. 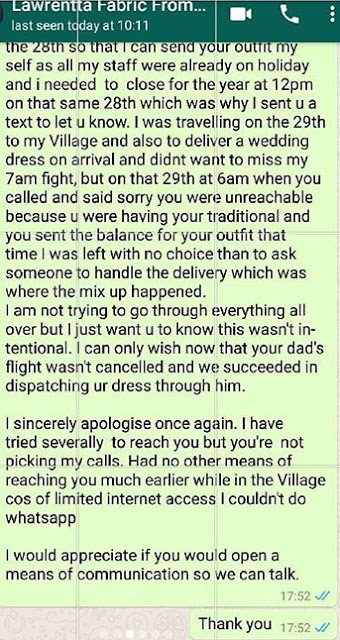 Below is the official apology letters.